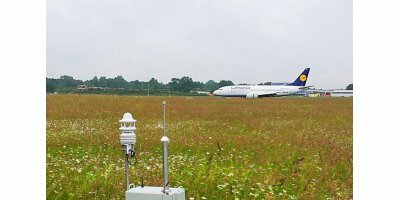 Airport Weather Sensors and Components for Airport Weather Observation Systems (AWOS) and Runway Ice Detection Systems (IDS): Ceilometer, Cloud Height, Cloud Cover, Visibility and Runway Condition Sensors. Airports around the world use Lufft technology because it’s flexible, comes with open protocols and easy to integrate into existing solutions. Moreover Lufft’s sensors are reliable under any weather conditions and maintenance-free. In the industry segment meteo information is essential for safe operation. To deal with emergencies, accurate real-time information on wind conditions (direction and speed) is crucial. In some cases we feed this data directly into safety applications which models and predicts the progression of released gas clouds. By Guided Wave, Inc. based in Rancho Cordova, CALIFORNIA (USA).